One of the many questions I get asked about photo processing is which panoramic software do I use. I've been using PTGUI the many years now, but with a Lightroom, Photoshop and other software boasting panoramic merging tools, it often seems hard to justify purchasing a dedicated piece of software. 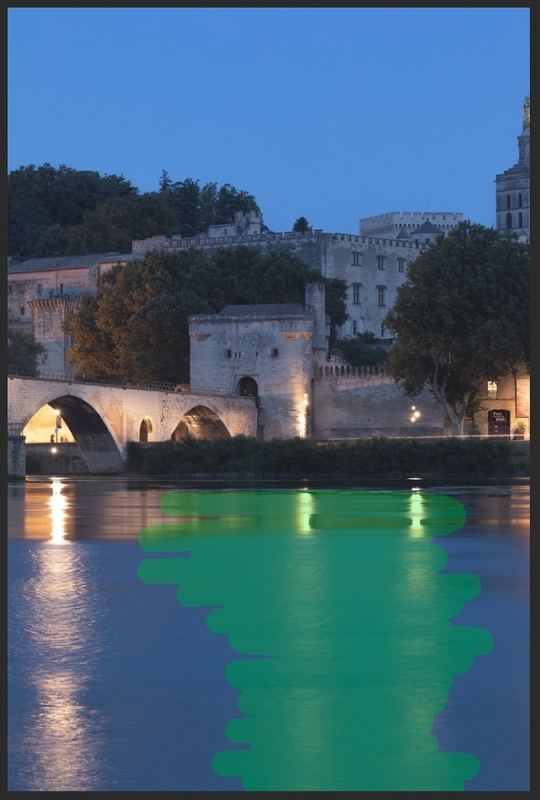 Let me highlight this reason by taking a look at PTGUI’s brilliant masking feature, which saved this picture of Avignon from the bin. I've taken this photograph a few times before and the results have always ended in a 30 minute cloning session. 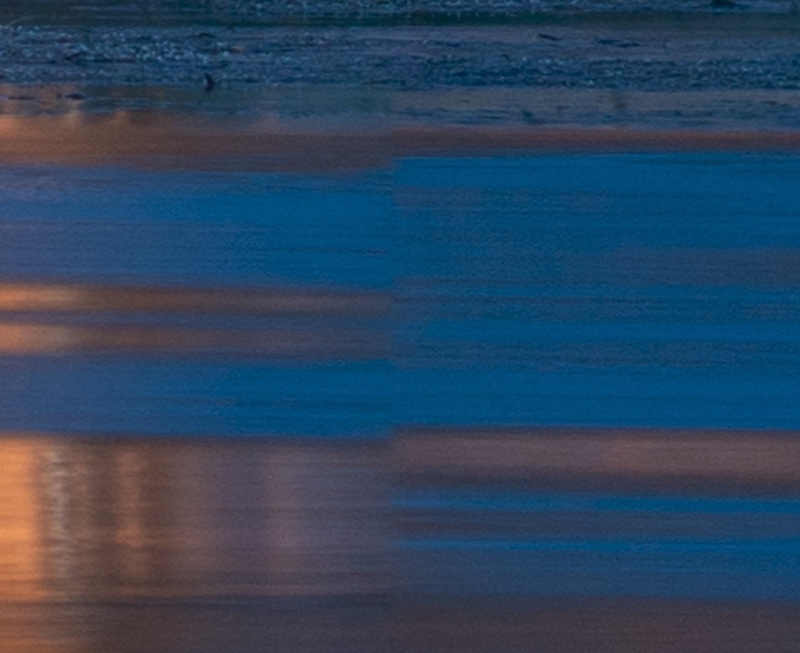 The problem here is moving water, which does not lineup between each of the 11 images I shot to compile this panorama. Okay, I could have used the neutral density to smooth the water out and avoid the problem entirely (but probably made the stitching impossible at the same time), but in this circumstance the masking feature of PTGUI saves this picture, a feature that like many of the ones available in PTGUI, is not included in Adobe's Photomerge features. 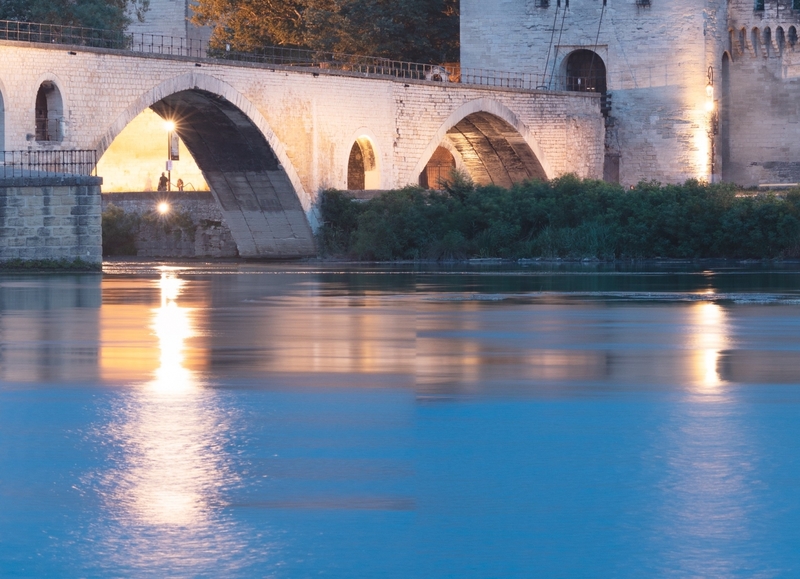 The image below shows an attempt at stitching the pictures together using both PS and LR, but as you can see the water does not align and need retouching. The picture is riddled with these errors from left to right and it's not a quick job to accurately fix. The mismatch errors do exist in PTGUI - this is not push button magic software fix, as this is a difficult and large image to assemble indeed. What PTGUI does is give you additional features to fix the errors, that Photomerge does not include. Each image has flowing water that misaligns with the next consecutive image making it a nightmare for any software to join, but PTGUI can fix it. - After stitching the images together using the ‘Align Image’ button, I press the ‘Panorama Editor’ hyperlink and it is here you can see the assembled image. - Now go to the top toolbar and press the ‘Show Seams’ icon and red lines will appear. These show the joins between the the each of the corresponding images. Keep this window open, now go back to the Mask tab - you can see the individual images in a previous strip above. - Skip through the images and find the errors referencing the Panoramic Editor image, which is essentially a preview of the final product. 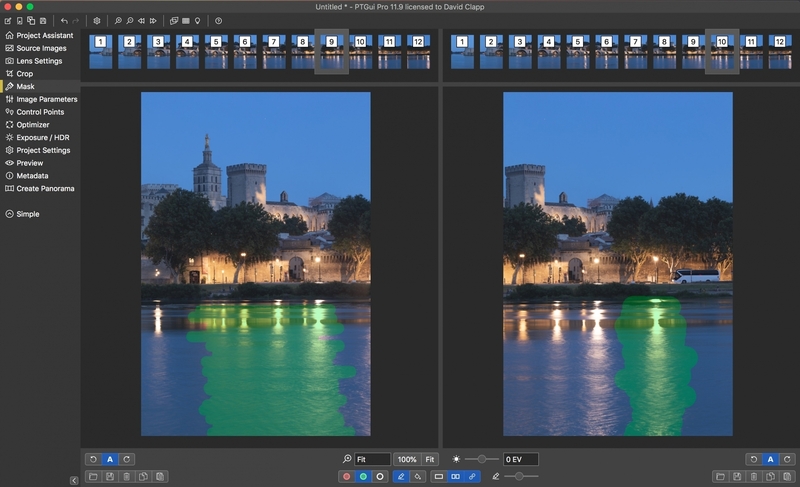 - Press the green traffic light button and paint over the picture where the stitching error exists - this will force PTGUI to stitch the data that you paint in with the brush and ignore other overlapping images. - Now repeat for all corresponding images, referencing the Panorama Editor window for the errors. It's not perfect, you have to keep referencing the Panorama Editor Image as you cannot see this 'seams' in realtime in the Mask tab, but if you keep Optimising the project you can see the errors disappearing one by one. Basically, this approach removes endless hours of editing and retouching in Photoshop and although it takes a little scrutiny at the start, the results are infinitely better and look very natural.